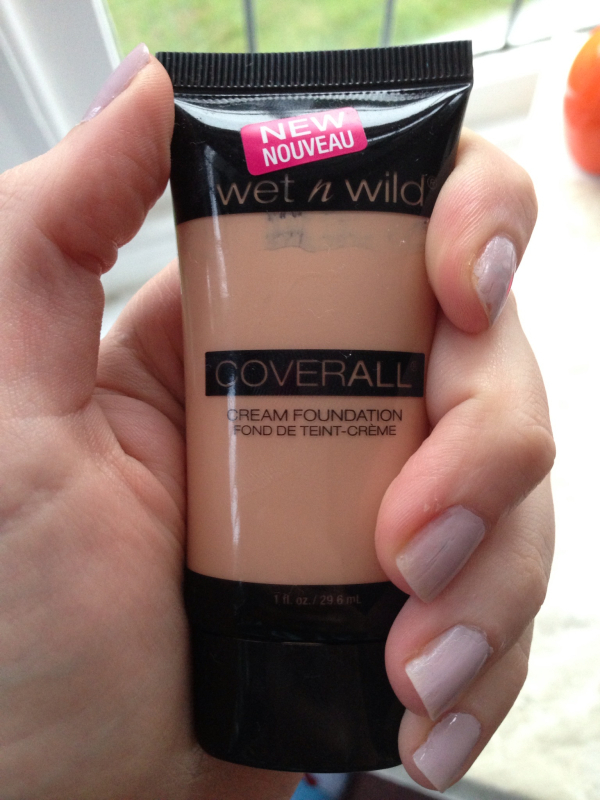 Review: Wet ‘n’ Wild Coverall Cream Foundation | Becky Alyssa's Beauty Box. Today I bring you a review on one of the most high-rated, much-loved, yet cheapest foundations around, beating EVERY high-end formulation in customer reviews – is this $3.99 product really better than YSL, Kat Von D, NARS, MAC, Armani and every other pricey full-coverage foundation on the market? I bought this foundation on my trip to the USA after looking it up briefly on Makeupalley – it seemed to have some very positive customer reviews compared to most foundations listed, so I’d added this to my shopping list beforehand. I’m so incredibly picky with foundations – I need something with decent coverage, very blendable with fingers, and has to match my skin tone well; I also have combination skin with redness and dryness and oiliness so it has to address each of my issues. 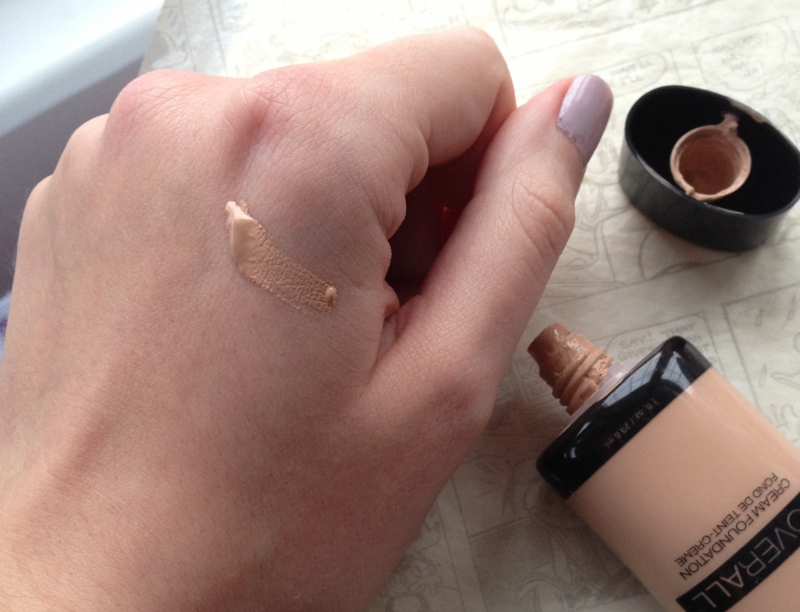 I picked up shade 816, described as Fair/Light – I always get matched far too light from sales assistants in department stores so I usually just get the second lightest shade in everything, cool-toned if possible, and it generally works. For reference, I’m MAC NW15 – 20 since my face is fairly pink-toned. Luckily this was a great colour match for me! This foundation is a little cheaper in Walmart, but they stocked very few shades (most of which had been messily tampered with) so I picked up mine from Walgreens for $3.99. The packaging isn’t anything special, just a small 30ml squeezy tube. The opening has a foil seal on to keep the formula fresh and prevent naughty people from testing before you buy it. However when I removed the seal, I lost a whole lot of product as several blobs squirted out all over my hands and the lid thanks to the unnecessarily huge opening – I believe MUA’s Primer uses a very similar packaging which causes numerous customers to hate it! Smell-wise, it does have a light ‘paint’ smell which reminded me of the very gloopy poster paints I would use at school as a kid – it doesn’t bother me or put me off at all, it’s just not scented or perfumed like some foundations. After getting past the unusual packaging and scent, I began to see exactly why this foundation is so popular. I used a chickpea-sized amount for my whole face on top of my regular primer (Collection 2000 Primed and Ready) and I was amazed at how brilliant the coverage was. It doesn’t look thick or cakey at all whilst giving me wonderful coverage, and didn’t cling onto any dry patches. The creamy formula blended flawlessy with my fingers so I didn’t have to resort to buffing it out with a brush or sponge – you can barely see it below. It is marketed as a medium to full coverage foundation which is accurate – applied thinly it passes as medium coverage and you can apply a little extra if you need full coverage. 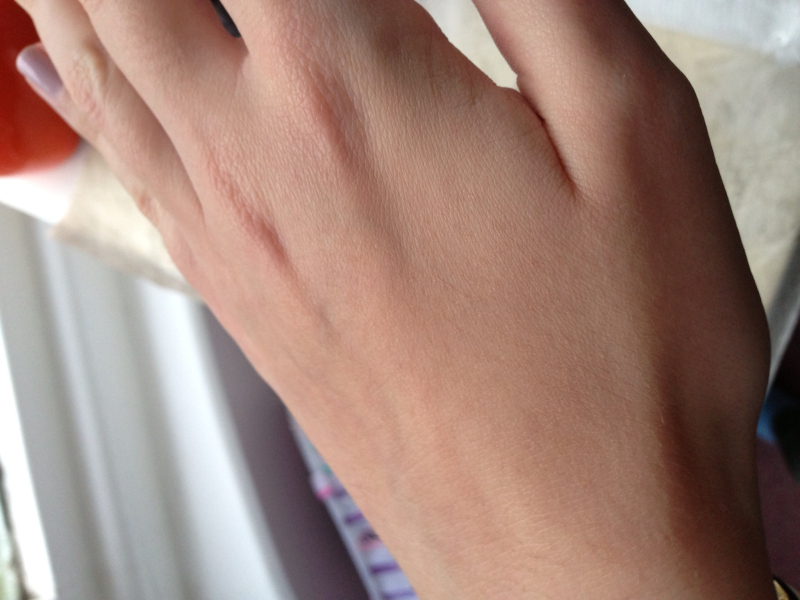 It gives a lovely semi-matte finish, looking natural without appearing overly matte or drying on the skin. Even after a busy day of up to 10 hours, I only usually need one touch-up with my oil control sheets and powder. It doesn’t separate when skin gets oily or wear off throughout the day – the lasting power is amazing. I always get paranoid when going out whilst testing new foundations just in case I’m covered in oil or the formula’s separated, but even after numerous mirror checks this one still stays in place incredibly well. It’s perfect for nights out thanks to the staying power and lack of SPF, so your skin won’t reflect the light in flash photos. However if you’re wearing this during the day, an SPF product layered underneath would be best to prevent sun damage, even in the winter. I pick this foundation whenever I need something hard-wearing for a long busy day which I know will look good for hours without continuous touch-ups. Or if I’m going out at night and know someone will be taking photos – I can’t stand my face looking shiny, I definitely can’t pull off that ‘natural glow’ look! I’d say it’s similar to the Kat Von D Lock-It Tattoo Foundation as it gives great buildable coverage (but not quite as full-on) and no SPF whilst lasting all day with little maintenance – the closest dupe I’ve found so far. And for the price, why would you not try it out? I’d recommend it to anyone looking for a very effective mid-full coverage all-day foundation that won’t cost a small fortune! You can buy here for $3.99 if you’re in the USA, or here for £7.43 inc. P&P if you’re in the UK. Have you used this foundation before? Any products I should review next? Let me know! ← An Early Beauty Lover’s Christmas Wishlist.. 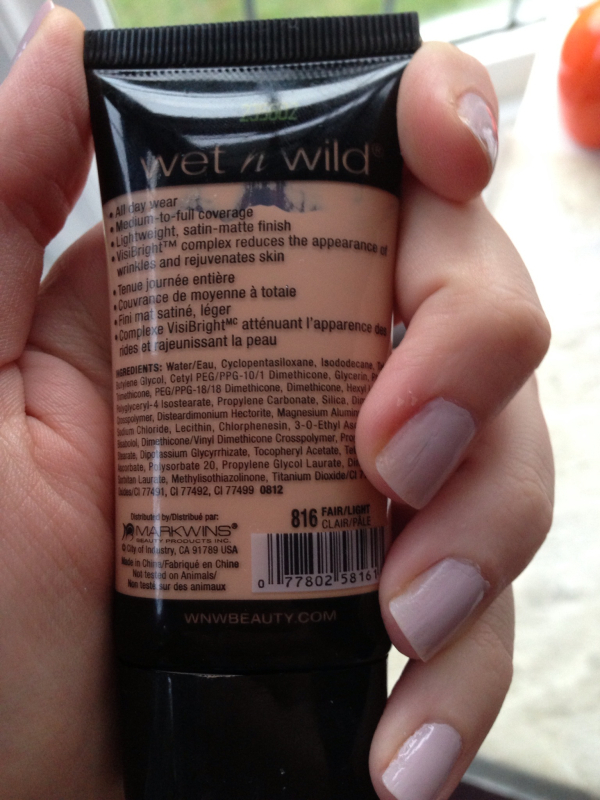 Sounds like this is a really nice foundation, I am always hearing about amazing wet and wild products. I really want to try them out soon!! Pingback: November Favourites! | Becky Alyssa's Beauty Box.